CLUB CHAMPION John McGettigan lived up to his title in Loughrea on Sunday when holding on for 10th in the West Coast Wheelers Open Race. In wind and rain, McGettigan, who suffered a mechanical in Saturday’s Travers Engineering Annaclone GP, ignited a break 12km from the start and took team-mate John Malone with him. The hills began to tell for the A3s on the second lap though and the break split. Malone said: “There was not a flat piece of road all day and that took its toll, with the two trips up the short lap really biting. Second time over four or five guys got a gap and, alas, me and John were on the wrong side of it. Renown climber James Kelly also carried the maillot violet in the race, riding for the first time as an A3. 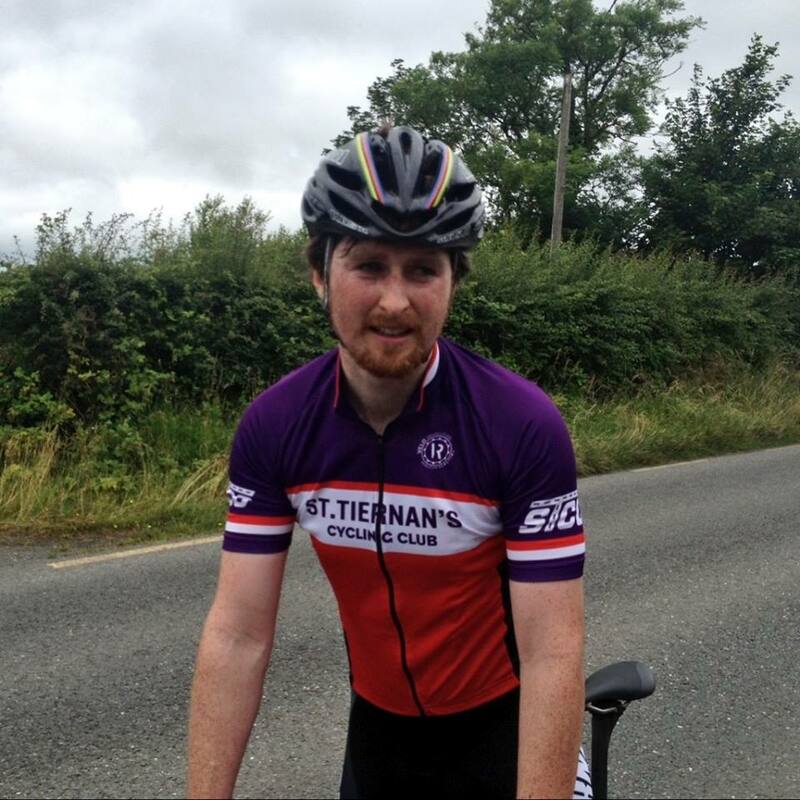 The 85k contest went to Fitscience’s Paddy Clarke, runner-up in last year’s Ras Mumhan. He beat U23 international Daire Feeley and the Laois CC duo of Derek Byrne and Niall Whelan. No Replies to "McGettigan 10th in West Coast Wheelers Open"